For over twenty years, Ettinger Law Firm attorneys have helped Putnam County residents with their estate planning and elder law needs. Acting as a trustee for many of our clients' estate plans is one of our most important responsibilities. 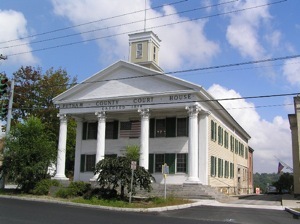 Serving Putnam County clients from our offices located at the 200 Westage Business Center in Fishkill and 150 Grand Street in White Plains, we consider this duty very seriously. A trustee has the important function of holding legal title to the trust property for the benefit of the beneficiary. The trustee is a fiduciary and is required to act with the utmost honestly and loyalty for the sole benefit of the beneficiary. In most cases, the person who creates the trust selects the trustee on the basis of the person's proven integrity, ability, experience and of course, capacity. For more information on how Ettinger lawyers work as appointed trustees within an estate plan, please attend one of our free seminars in the Mid-Hudson Valley or Westchester. Ettinger Law Firm is seeing an increased need for elder law services. Putnam County's population is aging. Nineteen percent of Cold Spring's population is age 65 or older. Seniors are looking for new ways to plan for long term nursing home costs through elder law. Knowing one's rights as one navigates through New York State bureaucracies may help to protect assets from long term nursing home costs in Putnam County. Residents of Carmel, Garrison, Kent, Mahopac and Patterson will be able to enjoy the facilities of the new Kent Senior Center later this year. Visit Putnam County's Office of the Aging for information on adult day care, nutrition and quality of life programs for all of the county's senior residents, including those living in Nelsonville, Putnam Valley, and Phillipstown.